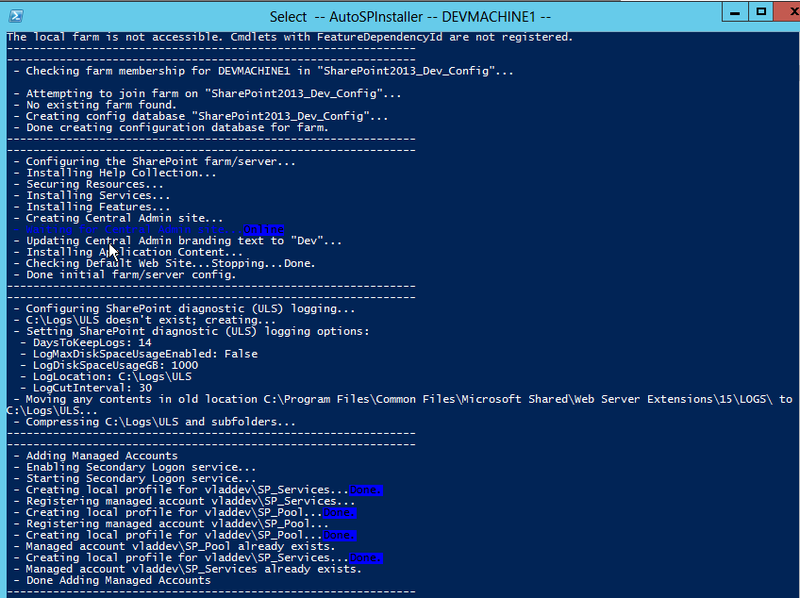 The Installation of SharePoint 2013 will basically be done in two steps. The first step is, of course, preparing our source package and configuration, and the second step is installing it. Both those steps will be done with the help of two great tools done by Brian Lalancette. The first one is AutoSPInstaller that you can download here: https://autospinstaller.codeplex.com/ and the second one is AutoSPSourceBuilder that you can download here: https://autospsourcebuilder.codeplex.com . Next thing you have to do is mount the SharePoint 2013 ISO file and open PowerShell as an administrator. Run the following script (If you want to add language packs to your install you can now! Make sure to read the tools documentation if you modify stuff! Also, for this step you will need an internet connection so it can download the prerequisites! However, once we have them we won’t need them anymore for future Virtual Machines. When Asked to enter a Cumulative Update, just press Enter, we don’t want to slipstream the updates using the old process, we will use the new “AutoSPInstaller” way! Now that our SharePoint Sources are ready, we can start configuring everything! Go in C:\SharePoint\SP\AutoSPInstaller and open “AutoSPInstallerInput.xml” with a notepad editor. You can also edit this file on your local machine since you probably have NotePad++ which makes modifying this document a lot easier! The Document is pretty well documented however I will go over with you with some settings we need to change. I will also show you a bit under an example of a configured AutoSPInstallerInput.xml that you can refer to incase you have any questions… so let’s start! Enter the passphrase of the farm… Make sure it’s pretty complicated! Tip to make configuration faster! Do a Find/Replace with Domain\ for vladdev\ (for example) and domain.com for vladdev.local (for example). This will avoid you writing in the domain every time! 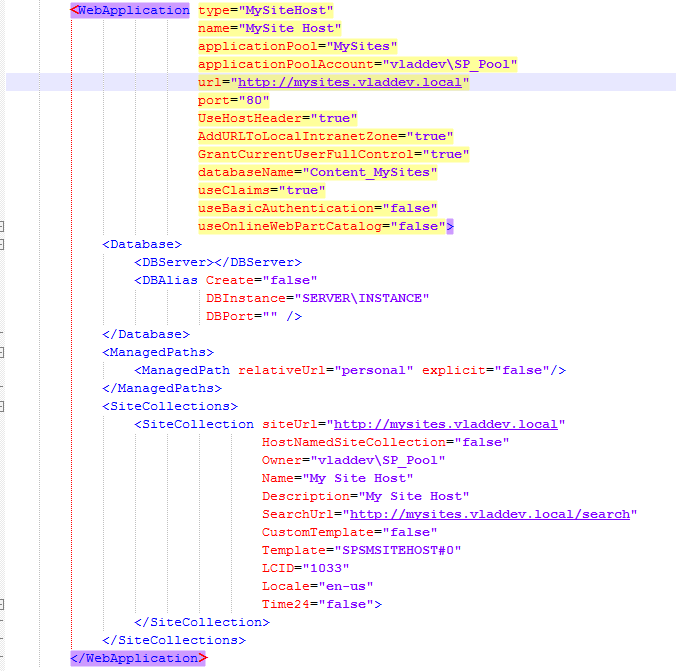 From now on, I won’t tell you what to change on each line, since it’s very well documented in the XML file, however I will post you screenshots of “Sections”. The only thing I want to make sure you do is set the <DBServer> to localhost! This will make sure it will always pick the MSSQL instance! PS: I will have deleted comments from my screenshots so I am able to show you more actual configuration on a smaller screenshot! 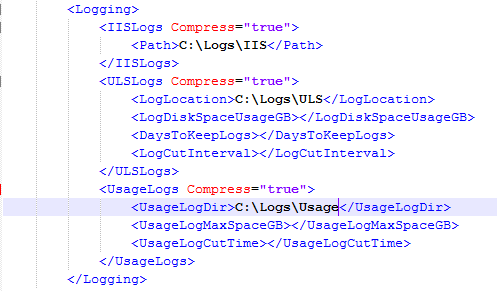 In the Logging Part, I changed the Path to C:\Logs\<logname> to make it easier to find them after! Won’t have to go to the long default path anymore! For the Service Applications, the basic ones will only ask you if you want to provision or not… And some of them like “Search” And User profile will ask you for more detail! I will only show you the MMS, Search and User Profile Screnshots, use the comments in the XML to configure the rest if you need! The SP_UserProfiles account currently does not have the necessary rights to sync users! You either have to give it the Replicating Directory Changes Permission (Click here for tutorial) OR, if you want an “easier” way… Just use the SP_Admin account! It’s already a local(domain) admin! The rest of the Service Applications can be configured as you wish! After you’re done configuring the file, run the AutoSPInstallerLaunch.bat file. 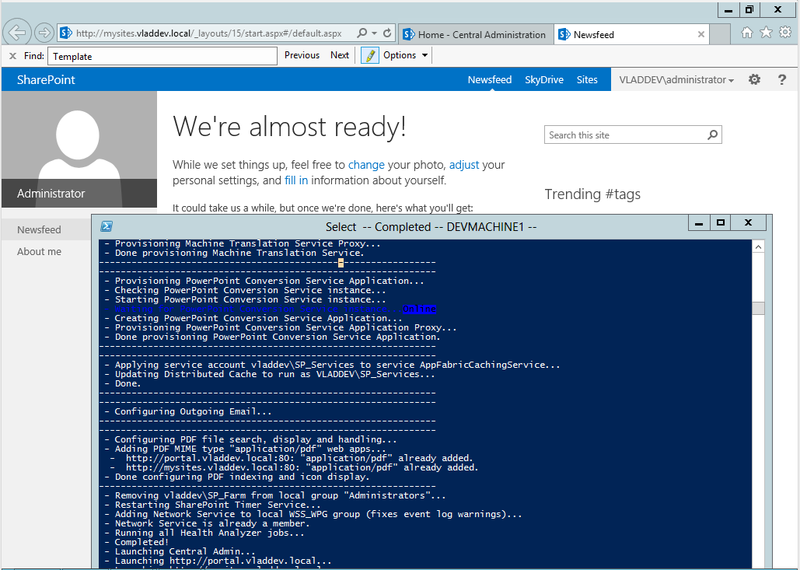 It will launch a CMD window as well as a PowerShell one and will look something like this! And then it will install the prerequisites, Binaries, Updates and configure everything as you told it to in the AutoSPInstallerInput.XML. Here are some screenshots of it running. 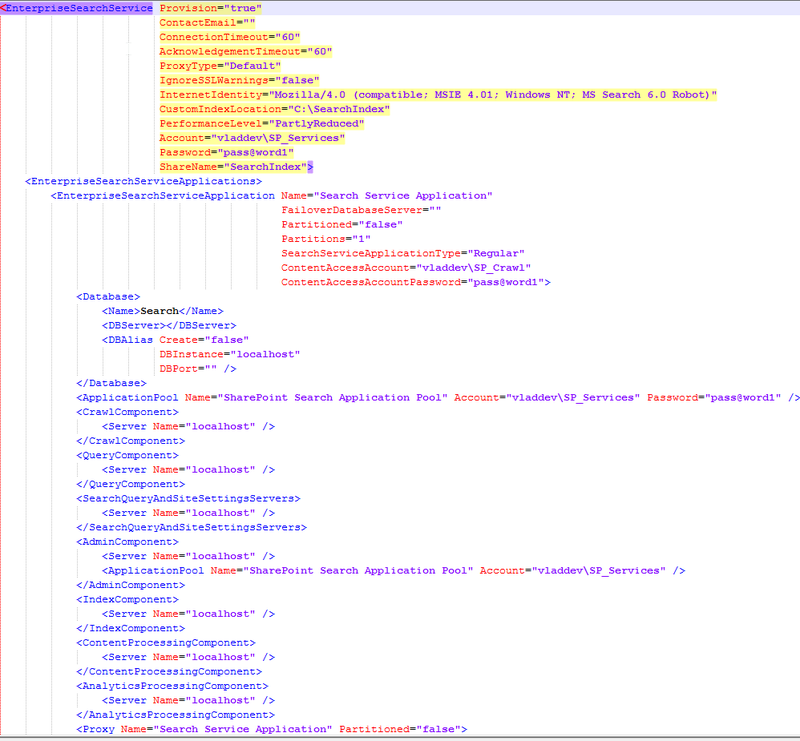 Prepared our SharePoint 2013 Sources and AutoSPInstallerInput.xml file for future installs! And we Also installed SQL 2012 and SP2013 of course! Vlad, timely and informative post.. I decided to run the script for a test SharePoint 2010 to demo to a client. 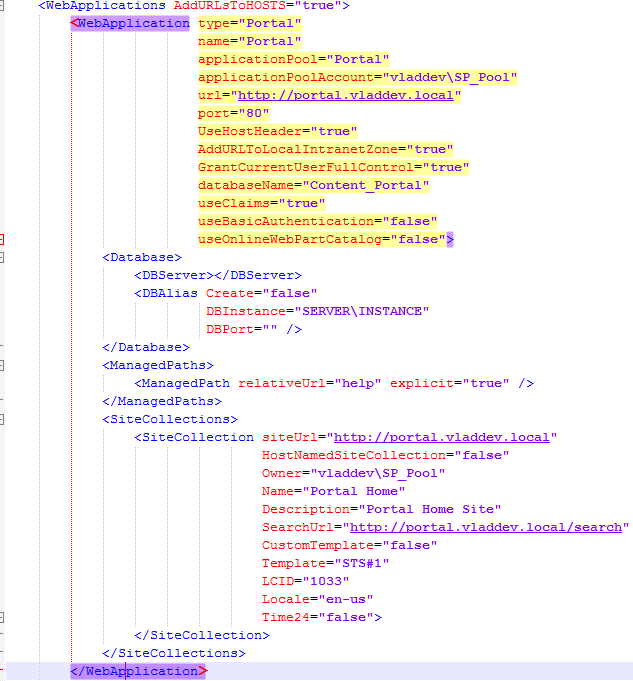 Oddly it creates my content db under the web app but then bombs out creating the site collection … I am looking through ULS but if you have any ideas this would help as exceptions in PS give me a headache! Note the name of the site was named by someone else…. xception : System.UnauthorizedAccessException: 0x80070005Access denied. If you’re running it on SP2010, can you check that “UseClaims” is set at “false” for the Web Application? Tell me how it goes! Unfortunately, I still get the error. 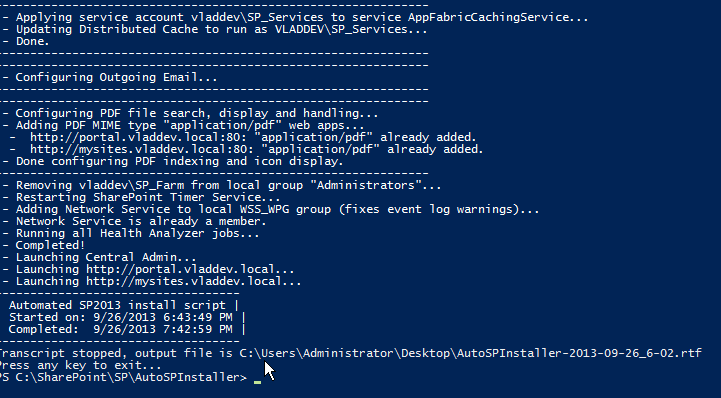 Note, I can happily create my Site col in central admin ( using the same account I run SPAUtoinstaller with) . Personally I never had this error… however you’re the second person in two days who asked me about this error (I got 50+ installs with it and never got it…). I will ask Brian Lalancette (creator of AutoSPInstaller) if he has any ideas about it and we will try to figure it out. As soon as I get an answer I will answer! 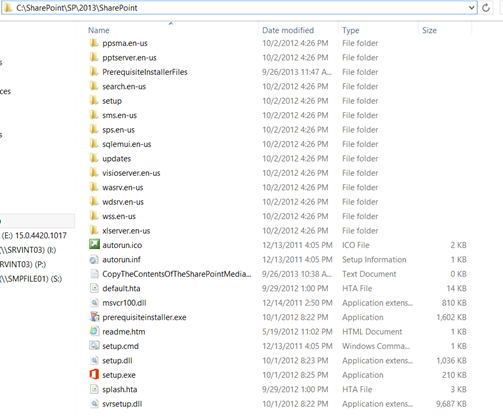 – I originally used the SPSourceBulder to download the pre-reqs, SP1 and October CU 2011 to build /sharepoint. 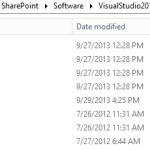 I could rebuild this staging area and just merge SP2 only into my install /SharePoint folder. – I can uninstall SharePoint and reinstall via the script – at least I don’t have to sit and watch it! Can you check that you have a site called “Default Web Site” created in IIS? 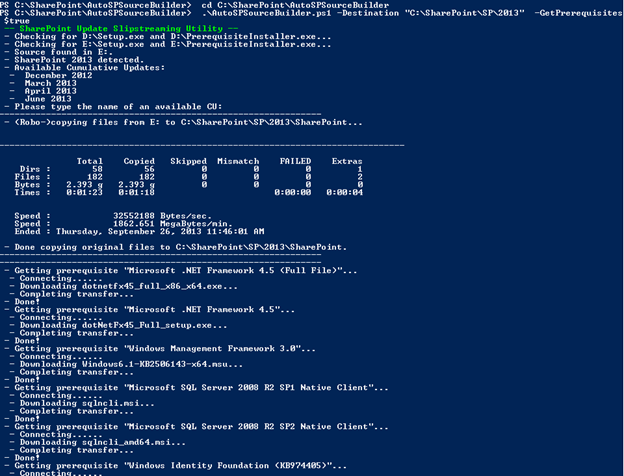 Also.. can you create any sites by using Powershell? Yes I have got that default IIS site although it now points to my portal site. See https://autospinstaller.codeplex.com/workitem/20065 My next step was to run the PS commend to create the site collection. I will up update the autospinstal issue page if you like so we centralise the resolution. Yes I do have my “default web site” which of course points to my home page of my default web app. I have updated the (20065) issue page . 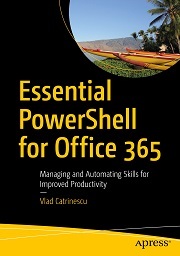 Next thing to try is a simple powershell test. I won’t have much time to resolve this today before I will be asked to simply manually install everything as the client wants to set up a demo today. Turns out that if you comment out @hostHeaderWebAppSwitch which ironically is set to “” in for SharePoint 2010 the script just runs until the portal and mysites are loaded into the browser … very impressive. I have updated the issue on this. That’s very good to know and glad you got it resolved! Also thanks for posting the resolution for other people when they search for it! Even when I keep entering: return then return then return….. (!) .. I can edit Brian’s script to comment out the 2013 cu bit ( if it detects 2013) but I just wondered why you didn’t get the same issue. Enter “none” and press enter when it asks you for the CU! Tell me how it works! Entering “none” works – thanks. This tutorial is absolutely epic, Thanks so much! Very helpful. 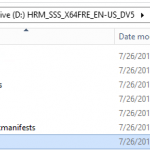 – SharePoint 2013 binaries are not yet installed. – Account “TL2014\SP_Admin” (User Profile Service Application)…Verified. – Account “TL2014\SP_Crawl” (Search Service Application)…Verified. – Account “TL2014\SP_Services” (SharePoint Search Application Pool)…Verified. 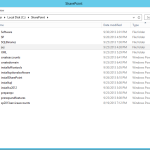 – Account “SP2014\SP_Services” (SharePoint Search Application Pool)…Verified. – Connection Error. Check server name, port, firewall. Hey Tony, it looks like SP cannot connect to SQL. If you open SQL Server Management Studio, can you connect to the instance only by using “TL2013”? If no .. I think (from my experience) that autospinstaller creates a Pipes Alias when only on one server. Verify this by typing “cliconfg” in run and check out the type of Alias. If it’s really in Pipes Alias.. can you manually create your TL2013 alias by using TCP/IP and in Autospinstaller, put “create alias = false” and DBName = your Alias. I know this would not be the optimal solution but it would prove that that is the issue. 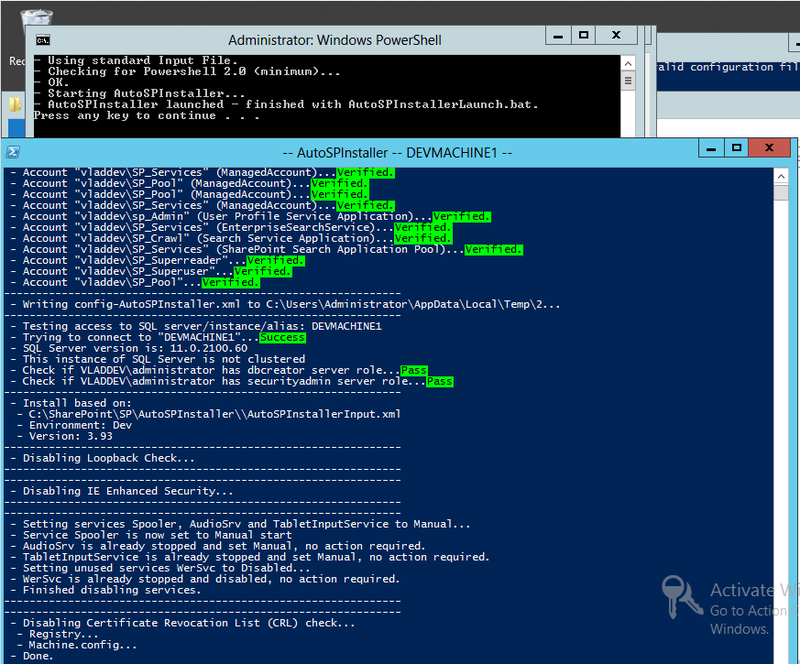 Temporarily, just don’t create an alias and put SQL Server “localhost” for your VMs and it should work! If it fixes your problem please tell me and I will go back to Brian Lalancette (AutoSPInstaller Creator) to make everything tcpip. Like many others before me. Many thanks for your blog post as it is great for a lot of different reasons. I’ve the same error like Tony and i can’t resolve it even if i can connect to SQL Server Management Studio. I tried localhost but i had the same problem (I uses SQL Server 2014). 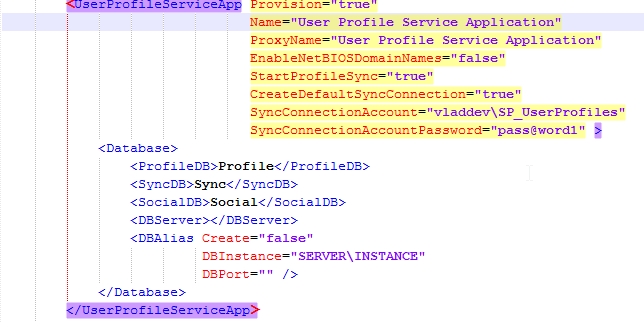 Hey Anthony, If you look in your Services, do you see what is the name of your SQL Server Instance? (you will see something like SQL Server (MSSSQLServer). I didn’t try the script with 2014, but it should still work! Maybe your account doesn’t have access? Did you add it when initially configuring the ini file? I was getting the same error as Tony about failing to connect to the db. I fixed it by running “cliconfg” and editing the alias so the server name was set to ‘localhost’ and the script started to work. Your breakdown of the script is great as I wanted to adjust something for my needs. I setup my VM with two NIC’s with one using fixed private address and the other connected to the internet using dhcp allows me to get windows updates and do other things from the net. So I did NOT enable remote desktop and as I’m happy to remote desktop to the host machine running the VM and did NOT disable the firewall as the VM is connected to the internet. The script failed for me when creating the web application, but this could be since your post that updates to AutoSPInstaller caused this. I fixed the issue of the web application by sticking with the CommonName values for the managed accounts as specified by the AutoSPInstallerInput.xml, i.e. – Done creating Secure Store Service Application. Update-SPSecureStoreMasterKey : Secure Store Service did not performed the operation. – Done creating/configuring Secure Store Service Application. The above error did not cause the script to abort and is something I can resolve once the dev machine is up. 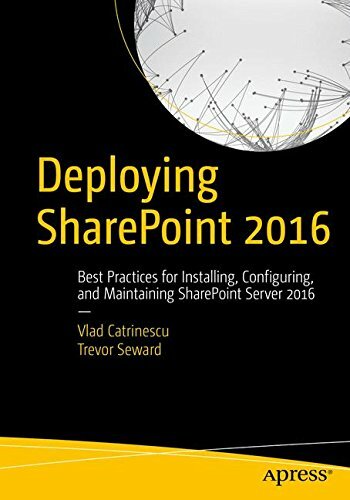 I am using the ISO of SharePoint Server 2013 with SP1 and did not download the March 2013 PU or the August 2013 CU, so some issues might be specific to me. Thanks for showing how to include future updates. I’m hoping now to install Visual Studio 2013 using your instructions, hopefully with your guidance on the next page, I’ll manage it. Thanks and glad you liked it! I haven’t tested it with SP2013 with Sp1! Will do! Good block and good information. I have followed your guide and the script run perfectly. No errors at all. When script is finished porta, central administration all was , working. If i do a restart of the server , i get the service unavailbale on all , portal, central administration. Do you have any idea what could be the problem? All service account are correct , nothing locked. On the IIS application pools, stoped the security token service app pool , sharepoint web services root and central admin , i can start them normaly but when i go to access the web site of central admin then again servise unavailable and they stop again… Any advice it would be nice. I use windows server 2008 R2 (all updates installed), sharepoint 2013 enteprise and on an other server SQL 2012. HI Vlad. Great job. I used your guide and i had a 100% success on the installation. BUt i have come to one problem. When server restarted , i get to all web sites service unavailable , centran admin , protal … the app pool start and the web sites also.. BUt trying to access them get the service unavailable. I start them again the pool apps and the same happen. Any advise? Did you check if your passwords were fine? I think that might be problem! 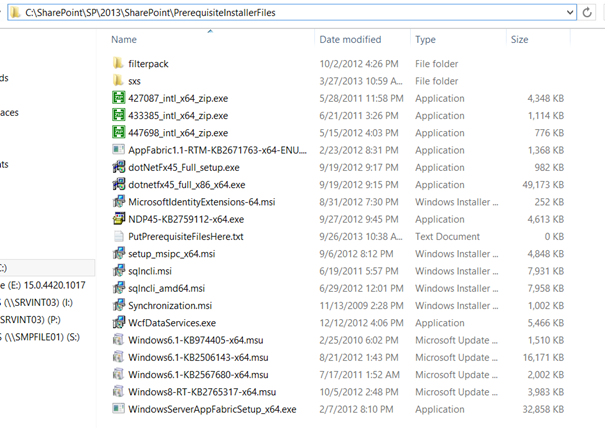 – .Net Framework 3.5.1 from “C:\SharePoint\SP\2013\SharePoint\PrerequisiteInstallerFiles\sxs”…Already installed. – Running Prerequisite Installer (offline mode)….Done. – Prerequisite Installer completed in 00:00:05. WARNING: 2014-04-07 08:47:03 – Error: The tool was unable to install Application Server Role, Web Server (IIS) Role. – Review the log file and try to correct any error conditions. Since the start of the tutorial everything had been going well till this…. check if your windows update service in services is started! There is a switch to choose the installation language ( I wold like to have the option to installed in French or English)? The search I suppose is not configured? The same for Apps ? It will depend on the binaries you have! if your binaries are in french it will be french! Oups, it’s a mistake! Congrats.. you’re the first one to see it hehe! Kindly Leave the above comment which is not very very important. 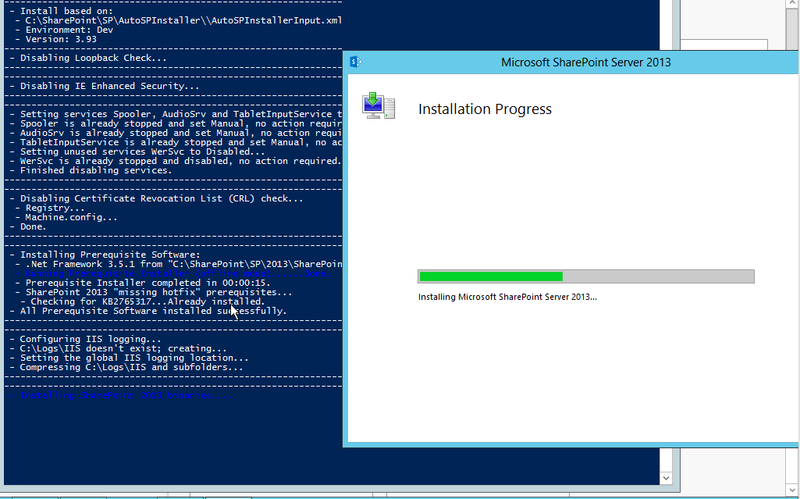 – Installing SharePoint 2013 binaries……………………………………………………………Done. 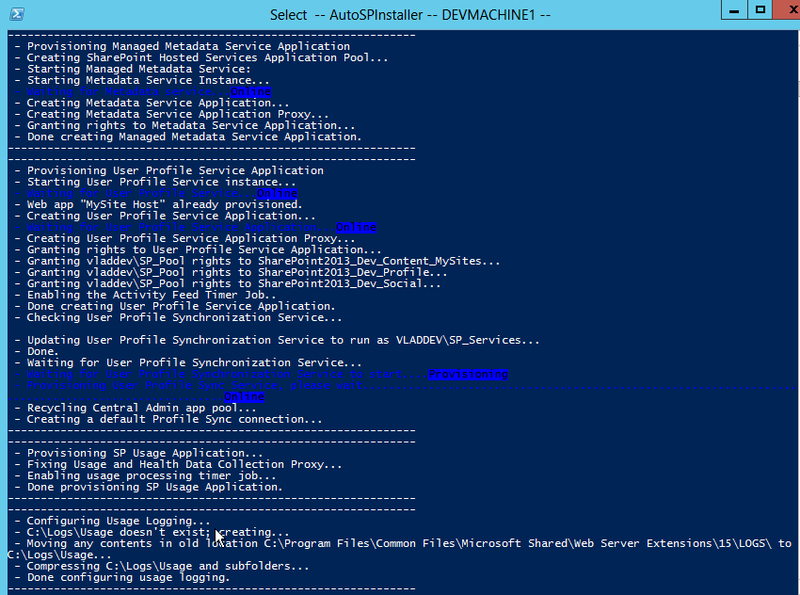 – SharePoint 2013 setup completed in 00:37:45. 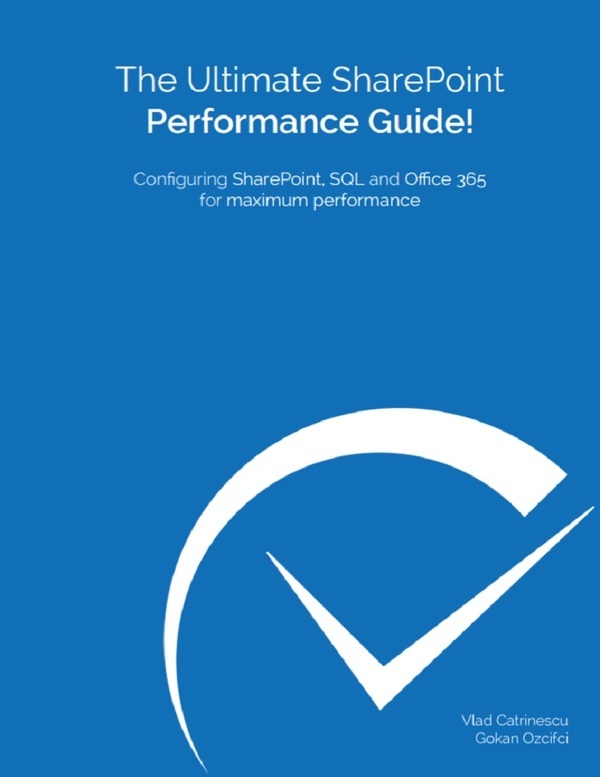 – Waiting for SharePoint Products and Technologies Wizard to launch ……………………………………………………………………………………………… ……………………………………………………………………………………………………………………………………………………………………………………………………………………………………………………………………………………………………………………………………………………………………………………………………………………………………………………………………………………………………………………………………………………………………………………………………………………………………………………………………..
– “Portal” managed account not found! Check your XML. Connection Error. Check server name, port, firewall. The script was really made for a 1 machine deal. Are you sure you are connecting to the good SQL Server? While trying to install I got rather far. But was stopped not being able to find the managed account that was properly installed, or so it seems. The loop for the managed accounts seems off. While trying to rerun the scripts I did receive an error that the account as already registered and the script stopped. It would seem that a validation to see if it does exist would fix that. – Adding to local Admins (*temporarily*)…OK. – Removing from local Admins…OK. 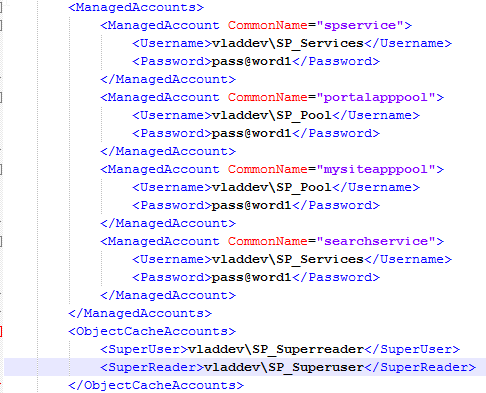 New-SPManagedAccount : Account sp2013.local\SP_Services has already been registered. First of all… WOW 🙂 This really is cool and useful! I got an error during the installation for the “secure store service”, which now doesn’t run (see output file below). I also had isues with SQL… Had to manually add a named pipe alias to localhost. Can you help me with the last “secure store” error? Any idea? Can I retry the whole process? New-SPSecureStoreServiceApplication : The timer job completed, but failed on one or more machines in the farm.